ASPECT - Association for the Promotion of Excellence in Consultancy and Training is a a body committed to promoting best practice. ASPECT's mission is to promote excellence and raise standards in the delivery of accredited training and consultancy in the PPM Best Practice market in particular and management training in general. Managing Director Paul Bradley is the founder member of this organisation. APMG-International is an award-winning Examination Institute. APMG accredits professional training and consulting organisations and manages certification schemes for knowledge-based workers. APMG has a global reach, with regional offices located around the world. APMG's wide portfolio of certifications includes the internationally recognised Best Management Practice schemes and a range of IT and general management certifications based on international standards and best practices. The Association for Project Management (APM) is a registered charity with over 20,000 individual and 500 corporate members making it the largest professional body of its kind in Europe. As part of its strategy to raise awareness and standards in the profession it is currently in the process of applying for a Royal Charter. APM's mission statement is "To provide leadership to the movement of committed organisations and individuals who share our passion for improving project outcomes". A joint venture company, created by the Cabinet Office on behalf of Her Majesty’s Government (HMG) in the United Kingdom and Capita plc to run the Global Best Practice portfolio, AXELOS boasts an already enviable track record and an unmatched portfolio of products. Used in the private, public and voluntary sectors in more than 150 countries worldwide, the Global Best Practice products have long been associated with achievement, heightened standards and truly measurable improved quality. The formation of AXELOS sees that association continue, driving forward the portfolio; including ITIL, the world’s most widely-used IT service management framework and PRINCE2 – the common language of successful projects worldwide. SPOCE is a Global Strategic Partner of AXELOS. SPOCE works actively with AXELOS to grow and drive the Global Best Practice Portfolio and help cement the ethos of working together in partnership and spread the use of and benefit from using best practice in project, programme, risk and service management, across the globe. BCS, The Chartered Institute for IT champions the global IT profession and the interests of individuals engaged in that profession for the benefit of all. The Institute fosters links between experts from industry, academia and business to promote new thinking, education and knowledge sharing. Campion Willcocks is the UK's leading provider of project, programme, and change managers in Financial Services and Public Sector. Campion Willcocks helps organisations to meet the challenges of resourcing for change by providing the right people at the right time & at the right price. DSDM is a robust Agile project management and delivery framework that delivers the right solution at the right time. 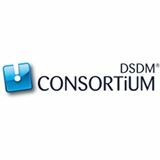 DSDM has been for many years the leading, proven Agile approach, providing governance and rigour along with the agility and flexibility demanded by organisations today. The approach is the culmination of practitioners' experience drawn from a wide range of public and private sector projects over nearly two decades. IPMA - International Project Management Association is a Federation of over 60 Member Associations (MAs). The MAs develop project management competencies in their geographic areas of influence, interacting with thousands of practitioners and developing relationships with corporations, government agencies, universities and colleges, as well as training organizations and consulting companies. IIM - The Institute of Interim Management, the pre-eminent professional body for quality standards of accreditation, professional development and best practice for practitioners of Interim management in the UK, leading the development of Interim management both in the UK and internationally. Jooble - is an advanced search engine for jobs, any Job, anywhere in the world! PEOPLECERT is one of the leading players in the global certification industry, they partner with multi-national organisations and government bodies for the development & management of globally recognised certification schemes and the delivery of their related standardized exams. PEOPLECERT delivers exams across 150 countries. They offer the full AXELOS Global Best Practice portfolio, as well as a wide range of professional certifications including ISO 20000, ISO 27000, Lean Six Sigma and many more.